Biographies Midnight's Children Salman Rushdie and his "Midnight's Children"
Tense: Saleem, age thirty, generally narrates in the present tense. Most of the events he describes, however, occur in the past, at which point Saleem switches to the past tense. Major Conflict: The battle between Saleem, who represents creation, and his archrival, Shiva, who represents destruction, encapsulates the major conflicts of the novel. Rising Action: The birth of Parvati and Shiva’s son, which occurs at the same moment that Prime Minister Indira Gandhi declares a State of Emergency. Falling Action: After his home is destroyed and his wife is killed, Saleem is taken to the Widow’s hostel, where heand the rest of the midnight’s children are sterilized. Foreshadowing: Ramram’s prophesy of Saleem’s birth; Saleem’s fever induced dream of the Widow. Salman Rushdie was born on June 19, 1947, to an affluent family in Bombay, India. Rushdie’s birth coincided with a particularly important moment in Indian history: after nearly one hundred years of colonial rule, the British occupation of the South Asian subcontinent was coming to an end. Almost exactly three months after Rushdie’s birth, Pakistan and India achieved their long-awaited independence when, at the stroke of midnight on August 14 and 15, respectively, power was transferred from Great Britain to the sovereign governments of each country. The period that immediately followed independence proved tumultuous. Political and social tensions between Hindus and Muslims caused not only the division of India into two separate countries—a calamitous event referred to as Partition—but also wide-scale riots that claimed hundreds of thousands of lives. The violence that accompanied independence was a prelude to the multiple wars, coups, and governmental abuses that plagued the area in the years that followed. The political upheaval and constant threat of violence that marked the first three decades of independence forms the backdrop for Midnight’s Children, Rushdie’s most celebrated novel. Like Rushdie himself, Saleem, the narrator of Midnight’s Children, is born on the eve of independence, and the events of his life closely parallel events in the development of both India and Pakistan. Most of Rushdie’s novels concern themselves, to some extent, with the character and history of these two major South Asian nations and describe the various, often violent struggles between different religions, classes, languages, and geographical regions. In the thirty years following independence, India and Pakistan fought three separate wars: two over Kashmir, and one over the creation of an independent Bangladesh. The wars produced millions of refugees, claimed thousands of lives, and led to a nearly permanent state of tension between the two countries. Raised in a well-to-do Muslim household, Rushdie was given an excellent education. After graduating from the University of Oxford in 1968, he moved briefly to Pakistan, where his family had immigrated after Partition, before returning to England to work as an actor and copywriter. Soon after, Rushdie published his first novel, Grimus (1975). A blend of science and literary fiction, Grimus, though generally ignored by critics, nonetheless marked the debut of a new literary talent that incorporated myth, magic, and fantasy into his narratives. Six years later, Rushdie published Midnight’s Children, which won the Booker Prize in 1981, and was later deemed the best Booker-winning novel from the first twenty-five years of the competition, earning the title “Booker of Bookers.” Heralded by critics as an enormous literary achievement, the novel instantly earned Rushdie comparison with some of the world’s greatest contemporary writers. However, Rushdie’s great international fame is mainly owed to his 1988 novel The Satanic Verses and the controversy that followed its publication. Muslim religious clerics and politicians deemed The Satanic Verses sacrilegious and offensive for its harsh, critical portrayal of Islam and for its less-than-reverent treatment of the Prophet Mohammed. The novel was banned in Rushdie’s native India and prompted the theocratic Iranian government to issue a fatwa—a religious ruling—calling for his death in 1989. 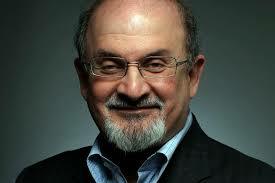 Rushdie spent the next nine years living in secrecy, under the protection of bodyguards and the British government. Fearful for his life, Rushdie nonetheless continued to write and publish books, most notably Haroun and the Sea of Stories (1990) and the Moor’s Last Sigh (1995), as well as two works of nonfiction, The Jaguar Smile (1987) and Imaginary Homelands (1991). When the Iranian government lifted the fatwa in 1998, Rushdie was able to enjoy a return to a moderately normal life and eventually settled in New York City. Rushdie’s work, and Midnight’s Children in particular, is often associated with several categories of literary fiction, including magical realism, postcolonial fiction, and postmodern literature. His work is often compared to, and admittedly influenced by, novels like Gunter Grass’s Tin Drum and Gabriel García Márquez’s One Hundred Years of Solitude. Equally significant as the incorporation of mythical and fantastical elements into his fiction is Rushdie’s uniquely Indian perspective on the English language. Rushdie’s novels hum with an eclectic mix of prose styles, which echo the rhythm and slang of English as it is colloquially spoken in India. Familiar English words get combined in new and unusual ways, and long, unbroken sentences run on freely, sometimes spanning a page or more. The inspiration Rushdie draws from both ancient and contemporary Indian culture is also notable in his fiction. Elements taken from traditional Indian mythology and religion thread themselves through the novel, as do the artistic conventions of modern Bollywood, the vigorous, populist cinema industry based in Bombay. In its sheer exuberance and sprawling range of cultural sources, as well as its attempt to include as much of India’s vast cultural identity and contemporary history as possible, Midnight’s Children is as complete a reflection of the life and character of the subcontinent as any single novel could possibly provide.